Minnesota Gov. 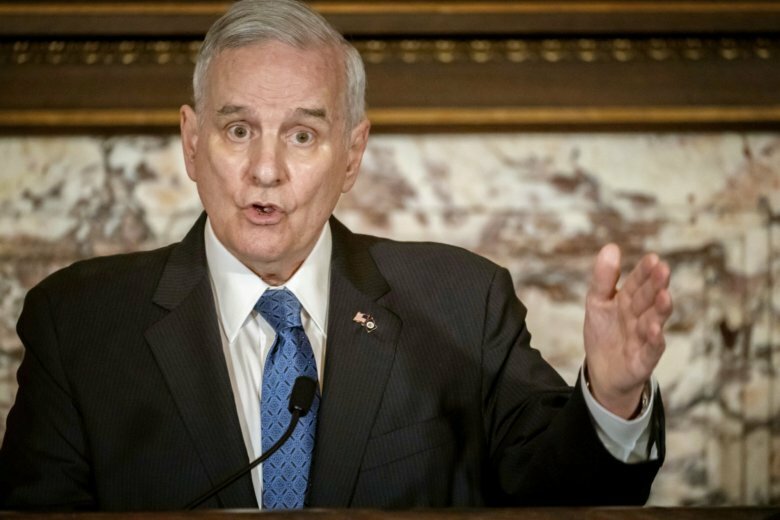 Mark Dayton says his lungs have improved after being damaged by post-surgery complications and that he will return home Wednesday after being hospitalized at Mayo Clinic for more than a month. The 71-year-old Democrat spoke with reporters Tuesday by phone from the Rochester, Minnesota, clinic. He says his lungs “have improved considerably in the last two weeks” and that he seldom has to use oxygen any more. Dayton underwent two surgeries last month to fuse vertebrae to improve stability of his back and legs. He says he turned over control to Republican Lt. Gov. Michelle Fischbach when he was under anesthesia. The 71-year-old Democrat tells Minnesota Public Radio News that his two back surgeries at Mayo Clinic were successful and he feels much better thanks to physical therapy. Dayton said last week that post-surgery complications had damaged his lungs. Dayton hasn’t been seen publicly since before his first surgery on Oct. 12. The procedures were to fuse vertebrae to improve stability of his back and legs, and followed three similar back surgeries earlier. Dayton also had surgery last year for prostate cancer and is in remission. He did not seek a third term. He’ll be succeeded in January by Democrat Tim Walz .